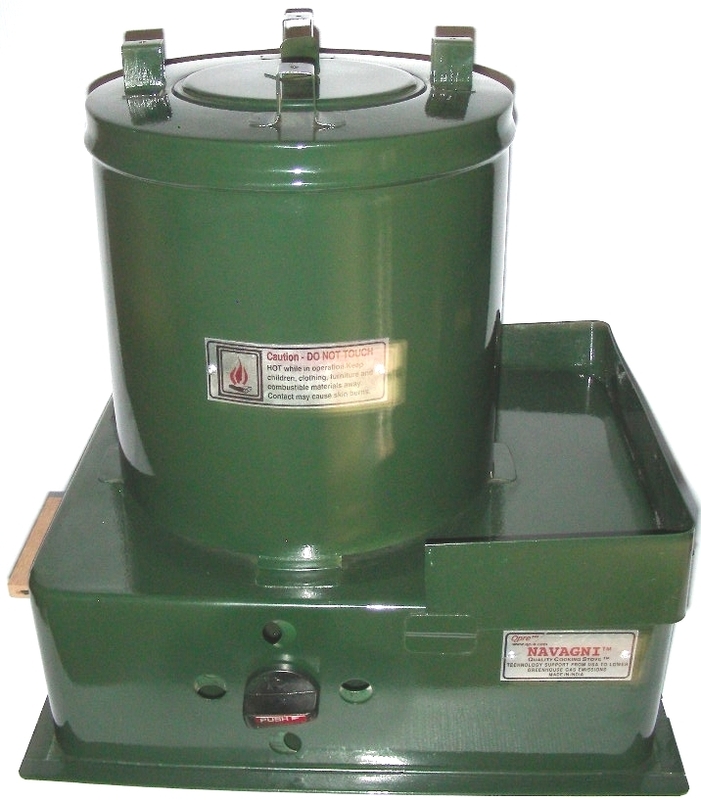 Navagni™ stove is portable and weighs (without any fuel) less than 16 lbs (7 kgs). This helps easy handling of the stove and to use the stove in a well ventilated environment without any (or limited) changes or compromise to the structure of the home. Generally, choice of biomass fuel has a direct correlation to the levels of pollutants emitted, so a conscious effort has to be made in selecting the biomass as fuel. Navagni™ is designed to burn any type of biomass fuel effectively and it emits considerably fewer pollutants for all types of biomass fuel. The decision to choose a particular biomass fuel based on emissions is not necessary. This flexible feature to choose any type of biomass fuel clearly demonstrates the ability of Navagni™ to be used in any geographic region. This will greatly reduce the time for collection of fuel, ability to use local fuel in abundance, reduce the cost of fuel, etc. Aesthetic presentation of the stove is very carefully considered in the design along with stability and durability for cooking. Navagni™ is promoted in various color models with appealing options of colors like olive green and brown. Custom color options can be made available upon special request.